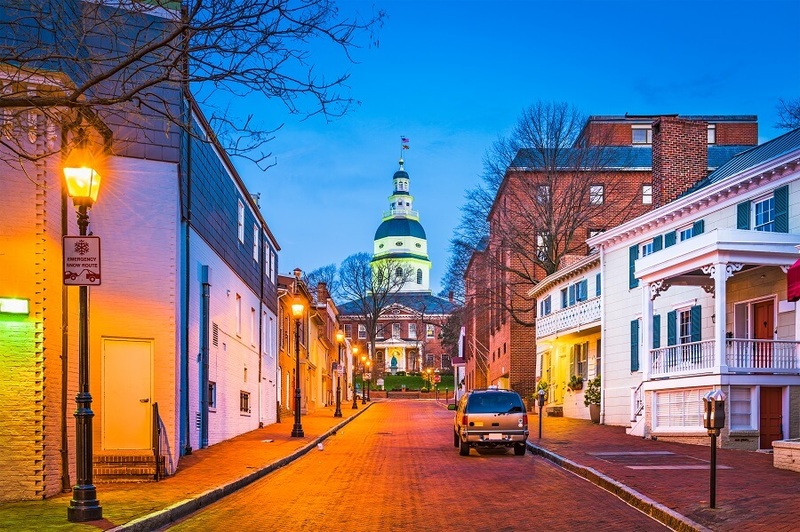 For five years, the Maryland legislature has tried to pass HB 1, a bill that would require businesses of all sizes to provide sick leave to their employees. That’s in addition to the family leave required by law. Small employers with less than 15 employers would have to provide unpaid sick leave and keep track of employee hours while small businesses with 15 or more employees would have to pay out up to 5 days of sick leave a year to their employees. Employees who work at least 12 hours a week or more would be eligible for the benefits. To many it may sound like a great idea. Even so, Over two-thirds of Maryland employees already have sick leave benefits. The ones that don’t are often some of the lowest paid employees and most of those employees work for small businesses that have a very small profit margin. Those businesses cannot absorb the additional administrative and direct costs of the sick leave bill the same as larger corporations and chain stores. Yet, there are two big problems with HB 1, like so many others around the country, which is why businesses across the state unanimously opposed the bill. First, it required new record keeping and paperwork requirements, including requiring workers to divulge health information in order to access the sick leave. Business owners and HR managers will loose added revenue as they spend time on paperwork and lost production due to the disruptions. Secondly, the bill is as un-American as it can be by assuming employer guilt and requiring the employer to prove compliance with the law. The bill allowed the Commissioner of Labor and Industry to open an investigation on a business off an anonymous tip from an employee. The business would then be compelled to prove their innocence. This is a intimidating and humiliating process. Upon a verdict of non-compliance, the business is then subject to costly fines and penalties. This is in addition to the time, expenditure, and opportunity and revenue lost by the business while defending themselves. It is the very costs of administering, tracking, paying out and defending compliance with the sick leave bill that would cause many small businesses to either completely close down or to greatly reduce employee hours or positions. According to a study done by NFIB Research Foundation, HB 1 would cost 13,000 jobs in the next 10 years. Most of those would be jobs from small business employers- the very jobs that the poorest workers in Maryland rely on. Undoubtedly, those workers would prefer a job over no job, with required sick leave for others. This is, in part, because larger corporations are able to afford lobbyists and exceptions to the law. One such exception was even labeled the Comcast amendment. A number of businesses got themselves excused from the bill and others got special carve outs. These are all privileges that small businesses can’t afford to buy from the lawmakers. Ironically, it’s the larger corporations that can better afford the additional regulatory compliance costs. Few people know that Governor Larry Hogan introduced a business friendly sick leave law earlier in the year, but the law was quickly discarded my lawmakers. Hogan’s sick leave law provided tax benefits and exemptions that would help to cover the cost of paid sick leave for business owners. Hogan has repeatedly stated that one of his biggest goals as governor is to produce more Maryland jobs and his bill was designed to offer the benefits of sick leave to workers without the crippling effect on jobs. Marylanders appear to agree with the governor. Although 77% support sick leave benefits. However under the same polling 66% oppose sick leave bills that would result in businesses cutting hours or staff to afford the bill. The legislature may still have an opportunity to override the veto if they are called into a special session to look at some other bills, including adjusting the state’s marijuana laws. Based on the current number of passed votes, both the Senate and the House have enough votes to override the Governor’s veto. However, the Senate had no extra votes to spare. One thing is certain, sick leave is likely to be a hotly debated topic again next year in Maryland. Businesses increasingly face employment law compliance and have to comply with multiple conflicting local and federal ordinances defining employee benefits, sick leave accrual and labor laws.